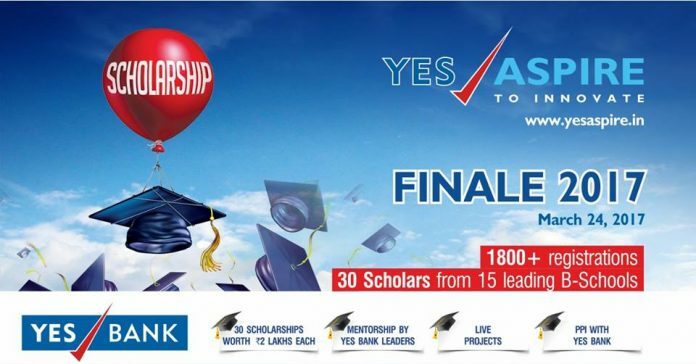 Mumbai: YES BANK, India’s fifth-largest private sector bank, today awarded 30 students from top 15 B-schools across India with the YES ASPIRE scholarship. Launched in 2015, ‘YES ASPIRE to INNOVATE’ is a scholarship program aimed at grooming India’s future leaders and has been conceived with the belief that India’s future as a global socio-economic powerhouse lies in realizing the untapped potential of our youth. 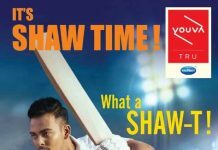 In November 2016, YES BANK concluded the fifth edition of its flagship B-School program – Transformation Series. YES ASPIRE is another such initiative by the Bank to engage with business schools across India.